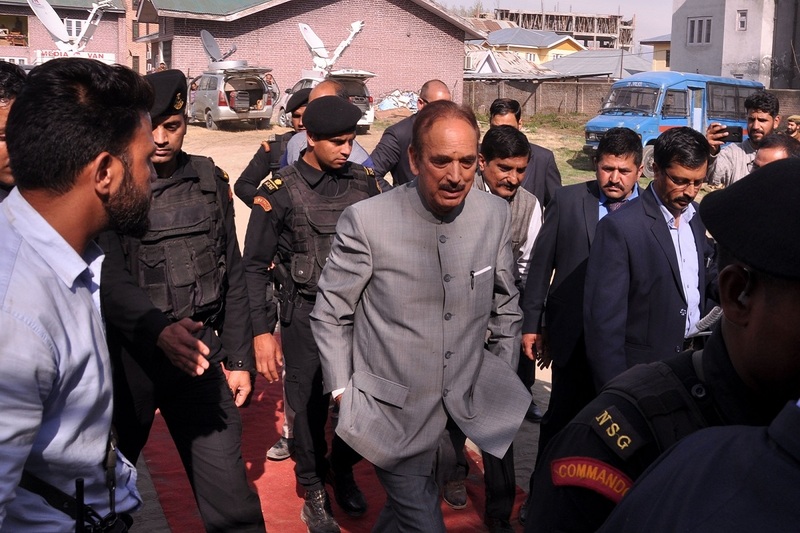 Blaming Modi for the “blatant lie” when he said on Sunday that Congress wants to withdraw forces from Kashmir and would compromise the national security, Azad said he is misleading the nation, as the Congress is committed for uncompromising approach to deal with terrorism and further strengthen the security along borders to plug the infiltration, whereas the Modi government failed to contain infiltration, cross border terrorism and control terrorism in Kashmir. 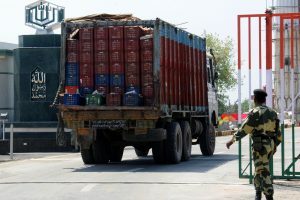 Leader of opposition in Rajya Sabha and General Secretary AICC Ghulam Nabi Azad on Monday said that Prime Minister Narendra Modi has no right to talk about national security because of the poor record of his government on this front as record number of major terrorist attacks over vital Army and security forces installations have taken place during his regime and terrorism and infiltration was at its peak during his tenure. Addressing a series of election rallies in the Udhampur Lok Sabha constituency a day after Modi had addressed a BJP rally at Kathua, Azad referred to the series of terrorist attacks on the forces in the state and elsewhere and the record number of infiltrations and martyrdom of our Jawans during the Modi regime and said that it speaks of the failure of his government on the issue of national security. He sought an apology from Modi for “misleading” the nation about the Congress’ stand against terrorism and issues of National Security by stating that Congress wants to withdraw the security forces from Kashmir and compromise the national security, whereas, the Congress is committed to effectively deal with terrorism and plugging the infiltration from across the border. Azad alleged that the Modi government utterly failed to plug infiltration and contain militancy in Kashmir which is evident from the prevailing security situation in the state and along the borders. The Congress would further strengthen the security along the borders and effectively contain militancy besides taking various peace initiatives to restore normalcy in the state, if voted to power. Azad said that Modi government and BJP has nothing to sell to the electorates about its past promises and on various problems confronting the nation, it is harping on the issue of national security by misleading the nation about the Congress stand and creating sense of insecurity and war hysteria. He said that Modi government made misleading claims of ensuring the safety and security of the women in the country, bringing back black money and depositing rupees fifteen lakh in the account of citizens, giving two crore jobs to the youth, checking price rise and promising ‘achhe din’ (good days) to the countrymen.